It's an app that matches people with similar interests so that they can do their favourite activities together. Living in the same campus we hardly know anyone outside our course. We share same hobbies, passions etc but still not able to connect with each other. 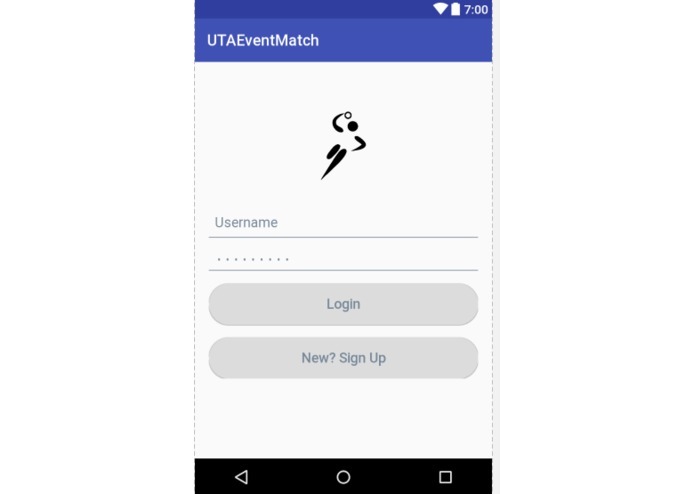 We made an application such that students in UTA can connect with people of their passion, exchange message and devote time together to grow their hobbies and passion together. We have used AWS EC2 instance as Web Server and RDS (MySQL) as database Python was used as the backend technology. One of the main challenges we ran into was that we were new to Android programming and therefore we had to learn it from scratch while developing our project. We have learnt how to develop an android project and how different APIs provided by the AWS.